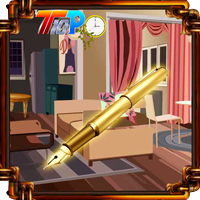 Top10 Discover The Golden Pen is another point & click escape game developed by Top10NewGames. Assume that your golden pen was hidden by your friend. Now you are going to retrieve it by using a key, objects, hints and by solving puzzles. We hope you will find your golden pen. Good luck and have fun! Top10 games.... their slider puzzles are always so annoying. When I get to them and try it a few times (and it usually NEVER works) I just end up clicking X out of the entire game.